Last weekend, Saint-Étienne hosted the very first edition of the Sainté Gym Cup, an international competition gathering teams from 9 countries, including France, Spain, Romania, Italy and Belgium. Our gymnasts brought 2 silver medals back home! The team qualifications and the all-around finals took place on Saturday. The Belgian team was composed of Senior Julie Meyers and Juniors Julie Vandamme, Fien Enghels and Margaux Daveloose. As a team, they placed 2nd in qualifications and qualified for the team final, that took place on Sunday. Individually, Fien Enghels was the best Belgians among the Juniors, as she placed 5th, with a total score of 47.150. Julie Vandamme and Margaux Daveloose weren't far behind, as they ranked 7th and 8th. 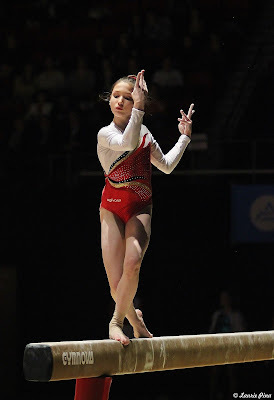 In the Senior category, Julie Meyers scored a total of 49.800 to take the silver medal! 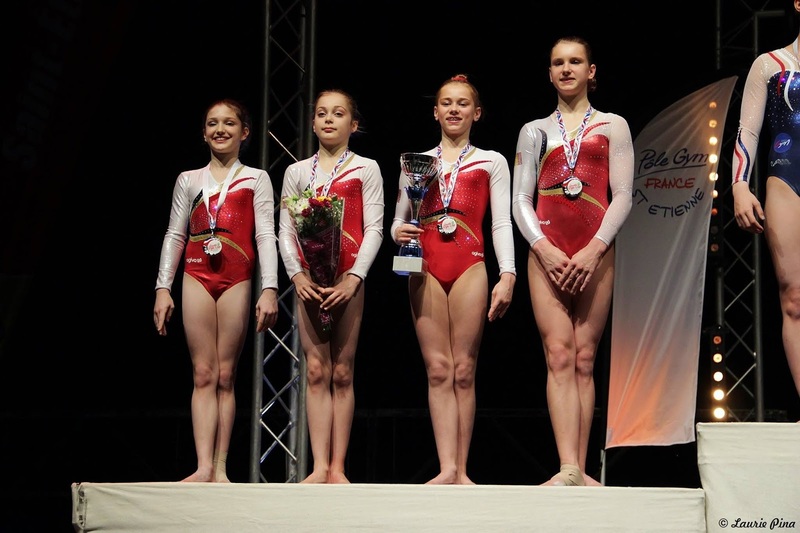 On Sunday, the four Belgians competed in the team final, where they won a silver medal! In a 4-2-2 format (4 gymnasts on the team, 2 gymnasts compete on each apparatus and the two scores count), they got 94.100. They started on bars, where Julie Vandamme unfortunately had to count a fall after one of her grips was misplaced and slipped. The team could then rely on two good vaults and two lovely routines on floor, where our Juniors Margaux Daveloose and Julie Vandamme both competed 4 tumbling passes. On beam, Fien Enghels was solid, while Julie Meyers had to count two falls. Nevertheless, their total score of 94.100 was enough to take the silver medal, behind France and ahead of Spain. The next competition for Julie Meyers will be the European Championships in April.